Have you ever wanted to watch a king get up and get dressed? If so, you would have enjoyed the grand lever, the traditional rising ceremony of French monarchs. It was a moment when people could speak to the king without having to request a formal audience. The grand lever may have started with Charlemagne, who invited friends into his bedchamber when he was dressing. If a dispute was brought to his attention, he adjudicated the matter. Seven centuries later, Henri II entertained a range of courtiers at his grand lever. They stood in a circle around the royal bed while the highest-ranking prince handed Henri his shirt and the king got dressed. Henri talked with each person in turn, “which pleased them greatly.” (1) He then knelt before an altar and said his prayers, after which everyone left. Louis XIV divided the lever into two parts and turned each into an elaborate ceremony, governed by rules of etiquette. The petit lever happened in the king’s chamber, where a small group of favoured courtiers watched the king get out of bed and get dressed. “Every other day we saw him shave himself; and he had a little short wig in which he always appeared, even in bed and on medicine days. He often spoke of the chase and sometimes said a word to somebody.” (2) This was followed by the grand lever, which was attended by nobles, cardinals, archbishops, ambassadors, dukes, peers, governors of provinces, marshals of France, etc. Admission to the grand lever was considered a great favour. During this ceremony, Louis XIV finished putting on his clothes, ate a light breakfast, and said his prayers. Even if the king had gotten up early to do some hunting, he would return to bed for the start of the lever. Napoleon adopted the tradition of the lever, but did away with people watching him get up and get dressed. Instead, he simply received people in his salon at nine a.m. First came the high officials of his household and the crown. Then it was the turn of princes and princesses, cardinals, great officers of the Empire, presidents of the bodies of State, and the chief authorities of Paris. 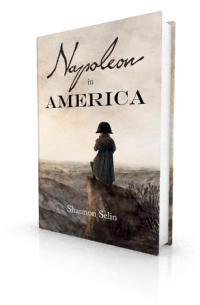 Napoleon used the lever as an occasion to give orders. 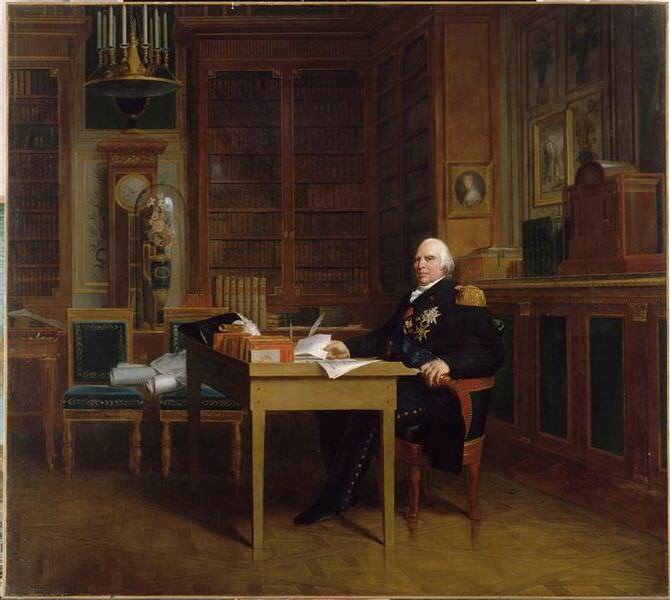 Napoleon’s successor, Louis XVIII, revived the grand lever in its traditional form. Here is a description of how the ceremony was conducted. The king lay, not in his great bed, but in a smaller and very low one which was prepared for him and removed every morning. The king fixed every night the hour of his rising, and orders were given to the valet-de-chambre on duty to awake his majesty in case he should be asleep at the time appointed. But the first valet-de-chambre on duty had previously gone into the king’s room with the footmen to extinguish the light called mortier, to kindle a fire if it was winter-time, and take in the night collation, consisting of a jug of wine, another of pure water, bread, a fowl, some fruit, a goblet of silver gilt, and several napkins. The king being awake, the grand chamberlain and the first gentleman of the bed-chamber were informed that they might enter, whilst a valet went to direct the officers of the kitchen and buttery to prepare his majesty’s breakfast. At the same time an usher took possession of the door of the chamber, that only such persons as had a right to come and pay their respects to him might be suffered to pass. His majesty chose this time to tell the first valet to admit the grande entrée. The grande entrée consists of the great officers of the household and the crown, persons of quality, certain marshals of France, and some privileged ladies, who share this favour with the cravatier, the tailor, the slipper-bearer, the barber in ordinary, the two barber-assistants, the clock-maker, and the apothecaries. 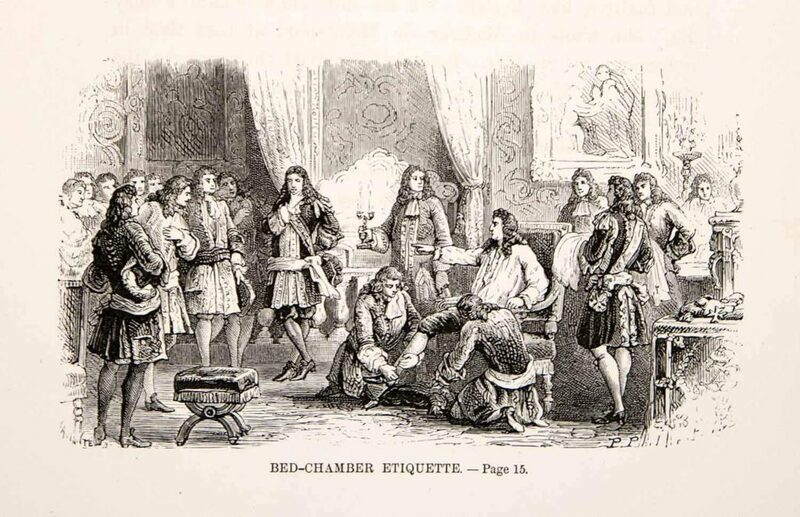 While all these persons are making their way into the chamber, the first valet pours upon his majesty’s hands a bottle of spirit of wine into a silver-gilt bowl; the napkin is presented by the grand chamberlain or the first gentleman, or the grand-master of the wardrobe, or even by the premier. The vessel of holy water is then presented, and the king, having made the sign of the cross, repeats or is supposed to repeat some prayer before he rises from bed. Louis XVIII put on his slippers himself; it was a service which his courtiers would not have disdained; but the king made them amends by granting them the honour of holding his morning-gown while he put it on. This done, he went to the arm-chair in which he was to dress himself. The king then asked for his chamber, that is, those who were not yet there. The usher on duty took hold of the door, and his colleagues went and whispered in the ear of the first gentleman the names of the princes, ambassadors, cardinals, bishops, dukes and peers, marshals of France, lieutenant-generals, first presidents, attorney-generals, peers and deputies, who might be present; and the first gentleman repeated their names to the king. The officers of the household passed unquestioned: but the moment an unknown face presented itself among the others, the owner was stopped by the usher, who asked his name, and decided in his wisdom whether he could permit him to enter without referring to the first gentleman. All who came thither were obliged to conform without a murmur to these customs; it was likewise requisite for them to know that they were to scratch and not to knock; and lastly that a closed door was to be opened only by the usher or by the officer on duty at it. The moment for the king to dress being arrived, two pages of the chamber stationed themselves so as to shift his majesty’s slippers when required. His shirt was brought covered with white taffeta: to present it to the king was an eminent distinction, coveted by the highest noblemen of the realm. The king put it on in the presence of the multitude, but, for decency’s sake, two valets-de-chambre held his morning gown extended before him. This done, and the small-clothes as well as the waistcoat being placed by the master of the wardrobe, the sword, bleu riband, and cross of St. Louis were brought, and afterwards the coat. It was the rule that the king should empty with his own hands the pockets of the clothes which he wore the preceding day, and that he should tie his cravat himself; three pocket handkerchiefs were handed to him in a dish of silver gilt; etiquette permitted him to take one, two, or even all three. Noel Williams, Henri II: His Court and Times (New York, 1910), p. 302. Louis de Rouvroy, The Memoirs of the Duke of Saint-Simon on the Reign of Louis XIV and the Regency, Vol. III, translated by Bayle St. John (London, 1891), p. 21. Masson, Frédéric, Napoleon at Home: The Daily Life of the Emperor at the Tuileries, translated by James E. Matthew (London, 1894), pp. 136, 142. Étienne-Léon de Lamothe-Langon, Private Memoirs of the Court of Louis XVIII, Volume I (London, 1830), pp. 345-348. I really enjoyed this post. I would NOT have enjoyed this type of morning routine. Sheesh, decadence and politics are exhausting! Me neither! Glad you liked the post, Michelle. I really liked the post of the mighty French emperors daily routines which were so similar to the royal courts of provincial kings in medieval India. However, the Grand Lever was unique because a French Emperor was allowing common people to come so near to him.Was there a screening system in place? Thanks, Arup. I’m glad you liked the post. Yes, there was a screening system for the grand lever. Only those who were approved were admitted. Louis XVIII put on his slippers himself; it was a service which his courtiers would not have disdained; but the king made them amends by granting them the honour of holding his morning-gown while he put it on.